Located in the lushly verdant Costa Rican mountains, on the outskirts of the picturesque town of Atenas, The Retreat at Altos del Monte (theretreatcostarica.com) has completely refreshed their spa menu. The renewed list of options is a return to the property’s tropical nature, using fresh, organic and local ingredients, which creates a unifying harmony with The Retreat’s overall dining and wellness philosophy. Created by The Retreat’s proprietor, Diana Stobo and executed with their Spa Director, Laura Solera, the innovative “Farm to Spa” treatments feature organic and edible body work. Each behavior has been specially designed with the strong belief that all food is medicine. The products used have a specific healing and beauty purpose and is handcrafted fresh from the property’s hillside organic garden; which is bursting with fresh herbs, greens and much of the nightshade family. The Retreat’s new spa goal is to bring their guests a one-of-kind experience that is exclusive to them; the treatments will nurture, relax, detox, enhance and incorporate natural healing, which completes their philosophy on therapeutic therapies for the body from the inside out. The new spa treatments are based on the fact that 60-70% of all body remedies are absorbed immediately through the skin tissue and the healing qualities are able to penetrate the cells immediately. The local and fresh ingredients used by The Retreat all have a therapeutic purpose, such as: Costa Rican Coffee, Coconut, Fresh Herbs, Chia Seeds, Goat Milk Yogurt, Dark Chocolate, Tropical Fruit, Herbal Gold and Volcanic Clay and more. The spa menu also includes new body massage treatments that are meant to bring back the body into harmony, relieve stress, and release toxins through properly stimulating the lymphatic system. The individual massages have been carefully crafted to create a complete mind-body experience. “I'm so excited about our edible spa, it’s the final piece of the perfect wellness pie as we are nourishing the skin with the same ingredients as we nourish our insides. My goal is to have my guests feel good about every single experience they receive at The Retreat, and I am confident that they are getting the very best. The spa menu now complements our whole program at The Retreat.” Says Diana Stobo. The Retreat Costa Rica is a gated 8-acre mountainside resort which is privately-owned, operated and conceived by health and wellness expert Diana Stobo. Stobo is an internationally renowned health and wellness speaker, culinary artist, raw foods advocate and author of the award winning books Get Naked Fast! A Guide to Stripping Away Foods that Weigh You Down, and Naked Bliss: Naughty and Nutritious Dairy Free Milkshakes. 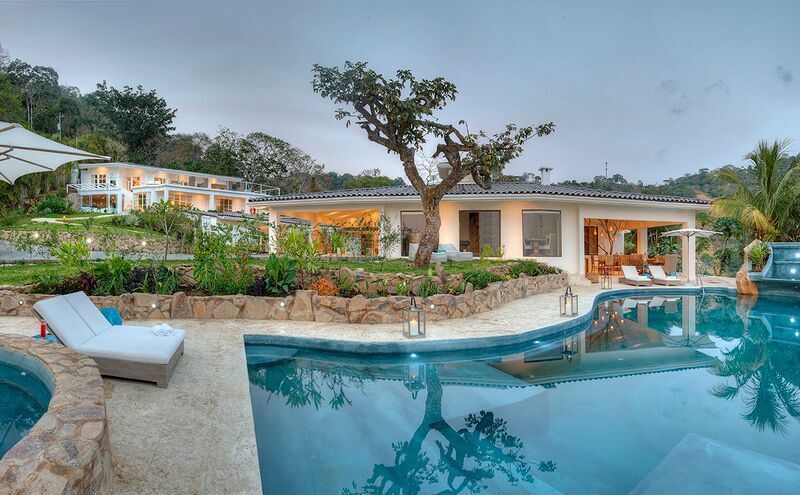 The Retreat Costa Rica is a boutique hotel that is specifically designed for individuals, couples and groups that are interested in a tangible “retreat” experience and want to learn about wellness through oneness in body and spirit. The hotel offers specially designed classes in yoga, meditation, fitness, whole foods and raw cooking, as well as luxury spa treatments and excursions around the local area.